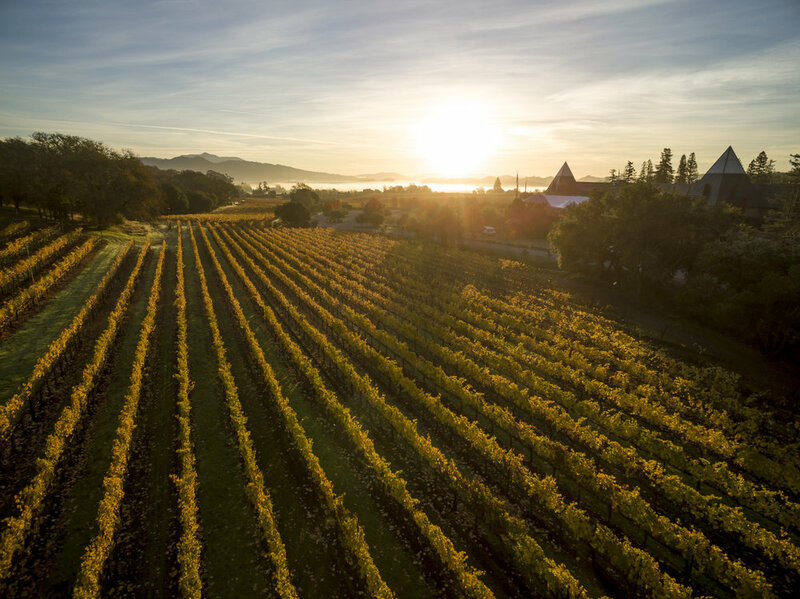 In 2006, Francis and Eleanor Coppola purchased what would eventually become known as Francis Ford Coppola Winery, marking their initial foray into Sonoma County winemaking. After an extensive two-year renovation that began in 2008, Francis reintroduced his eponymous winery in July 2010, which is one of the latest ventures from the six-time Academy Award-winning director, whose passion for wine, food and adventure is nowhere more evident than in this creative production – a winery resort located in the heart of Alexander Valley, California. Among the many attractions at the property, Francis Ford Coppola Winery features wine tasting bars, two restaurants, a full bar, a swimming pool with European-style cabines, a movie gallery, a performing arts Pavilion and a park area with game tables and bocce courts. With the vision for a “wine wonderland” in place, the Coppolas enlisted the talents of longtime friend and Academy Award-winning production designer Dean Tavoularis to turn it into a reality. Francis met Dean on the set of The Godfather and has since collaborated on a variety of artistic projects, including more than a dozen films and the courtyard design of Inglenook, formerly Rubicon Estate, in the Napa Valley. Tavoularis’ property design for the winery drew inspiration from Tivoli Gardens in Copenhagen and other modern family-oriented parks, creating a place that showcases its distinctive personality in a way that the entire family can experience and enjoy together.